This fixture is the latest in the AFL England ‘All Stages, All Ages’ strategy which is committed to providing footballing opportunities to players, whatever stage they are at. 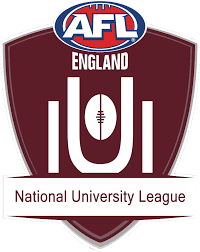 “After a very successful inaugural NUL, we wanted to test them against the best Ireland has to offer,” said AFL England President Jason Hill. “In the lead-up to the AFL Europe Championships and International Cup 2020 I’m sure both our National Teams will be looking on the games, and wider competitions, to see the up and coming talent that our Universities have to offer. Ireland has shown itself to be consistently one of the best European footballing nations, winning the nine-a-side Euro Cup in 2011 and 2012, and the 18-a-side AFL Europe Championship in both 2010 and 2013. At a university level, the UCC Bombers are three-time Fitzpatrick Cup champions in the men’s tournament while the UCC Crusaders have won every women’s tournament since its inception. AFL Ireland Women’s Coach Mike Currane said “This is another very exciting development for European & global international football. It’s also massive for Irish Women’s football particularly being announced at the same time as the first ever AFL Ireland Women’s Universities Cup. 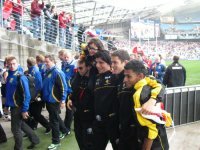 The games will provide another opportunity and stepping stone towards full International Australian football for students. With university football in its infancy but growing in both regions this represents a very exciting step, providing us as National Coaches another opportunity to test and develop players. Meanwhile, Irish Warriors Head Coach Brian Currane added that the fixtures will play a “big part” in the National Team Development Program.